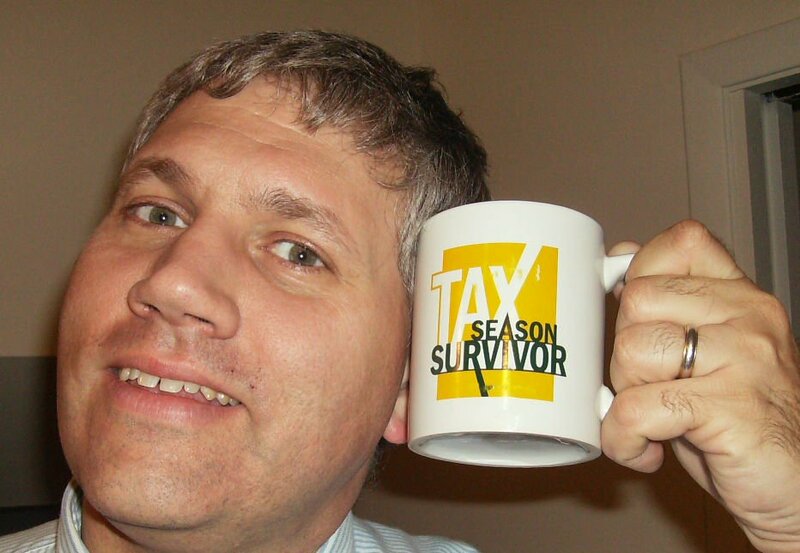 Jeff's Family Adventure Files: Man vs Taxes - Exhausted Man Finally Wins! Man vs Taxes - Exhausted Man Finally Wins! Note the tired and haggard look. My career calling is a Certified Public Accountant. Of course, January through April 15 is our busiest time of the year, ministering to others by helping them maneuver through the difficult maze of tax filing. It is a ministry. Last year, I was accused by one of "saving his life." This year, another was losing sleep. Ministry is not without sacrifice. What little family time we had, I was resting for the next 13 hour day. Today, life goes back to normal! A three day, family intensive weekend! Then next week, back to 40 hour (more or less) weeks. By the way, there is plenty for a CPA to do the rest of the year. It is great to be back with my family, my blog, my friends, etc. Can't wait to blog about how we spent our weekend. We are so blessed that you have a job. We get through the long hours knowing that you will be all ours when they are over. You are our lead playmate! Hooray for the weekend!